Since the early 1960s, William Eggleston used color photographs to describe the cultural transformations in Tennessee and the rural South. He registers these changes in scenes of everyday life, such as portraits of family and friends, as well as gasoline stations, cars, and shop interiors. Switching from black and white to color, his response to the vibrancy of postwar consumer culture and America's bright promise of a better life paralleled Pop art's fascination with consumerism. Eggleston's "snapshot aesthetic" speaks to new cultural phenomena as it relates to photography: from the Polaroid's instantaneous images, the way things slip in and out of view in the camera lens, and our constantly shifting attention. Eggleston captures how ephemeral things represent human presence in the world, while playing with the idea of experience and memory and our perceptions of things to make them feel personal and intimate. The snapshot aesthetic provided Eggleston with the appropriate format for creating anecdotal pictures about everyday life. Its association with family photographs, amateur photography, as well as Kodak's Brownie camera (which was useable by everyone) lent his work the proper proportions and personal attitude toward the impersonal everyday. Color has a multivalent meaning for Eggleston: it expressed the new and the old, the banal and the extraordinary, the man-made and the natural. His non-conformist sensibilities left him open to explore the commercial printing process of dye transfer to see what it could contribute to picturing reality in color rather than the selling of lifestyles, concepts, and ideas. His brief encounter with Warhol exposed him to forms of popular photography and advertising, contributing to his experimental attitude toward the medium. 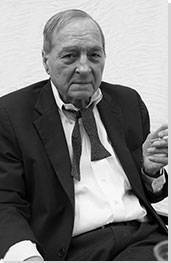 Eggleston's use of the anecdotal character of everyday life to describe a particular place and time by focusing either on a particular detail, such as an object, or facial expression, or by taking in a whole scene pushes the boundaries of the documentary style of photography associated with Robert Frank and Walker Evans' photographs. His insider view allowed him to create a collective picture of life in the South, capturing how it transformed from a rural into a suburban society. Born in 1939 in Memphis, Tennessee, Eggleston grew up in the city and in Sumner, Mississippi, where he lived with his grandparents who owned cotton plantations. The only boy in his family, his grandfather doted on him tremendously and played a big role in raising him. Even from a young age, Eggleston was a nonconformist. His mother said "he was a brilliant but strange boy" who amused himself by building electronic gadgets, bugging and recording family conversations, and teaching himself how to play the piano. 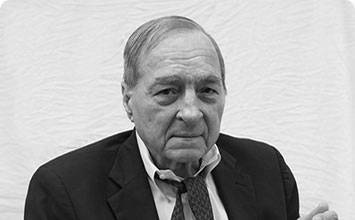 Eggleston has said he could hear music once and then immediately know how to play it. This nonconformist way of viewing things would continue throughout his life, eventually becoming the catalyst for his groundbreaking photographs.